Home > GENERAL > Audiologist > Hearing Aids : What Is The Real Expectation? People can have hearing loss regardless of age, social status or occupation. It can happen progressively and people might not realize it. Many factors can contribute to hearing loss. Therefore, the precaution steps also depend on the factors. This article stress on the expectation of hearing aids so that it is more realistic in helping them to hear. Information and guidance from professionals regarding hearing loss, process to get the hearing aids until hearing aids service are very crucial so that patients could benefit from wearing hearing aids. If we asked hearing loss patients whether to wear hearing aids or not, majority of them will show their passion to hear and live like normal as before. Hearing aid is an electronic device which uses battery, designed to amplify sound for the wearer suitable with the level of their hearing loss. This could be happy news for the patients who suffer from hearing loss for ages. Therefore, individual perception towards hearing aids could be different if we discuss it from different angle. There is no denying that hearing aids have gone through several technological changes phase like other gadget nowadays. However, are people with hearing loss prefer to wear the hearing aids? How Hearing Aids can help? Experience from wearing hearing aid differs between individual, no matter for adult or pediatric case. The difference might be caused by different level and type of hearing loss, the effect of hearing problem that they face as well as the changes that the experienced after wearing hearing aids. For pediatrics, wearing hearing aids is important for the speech and language development. Without hearing aids, chance to get speaking skill like normal children will be stunted. Overall, people with hearing loss hopes for better outcome from wearing hearing aids. 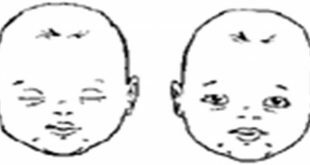 Hearing problem is one of the common problems for newborns. From Joint Committee and Infant Hearing (JCIH) 2000, one of the American organizations reported every 1000 birth; it is estimated 3 babies born with hearing loss. Hearing aids is the first choice for improving hearing loss. Of course parents expect better outcome from wearing hearing aids in helping their children to communicate. Parents will be happy when they call them ‘mama’ and ‘papa’. However, listening and speaking skill cannot happen in a blink of eyes. Children with hearing loss need to undergo rehabilitation process with audiologist and speech therapist for optimum listening and speaking capability. Do my children have to always wear hearing aid/ for a life time? If my children wear hearing aids, do they can hear and speak automatically like other normal children? Is the sound from hearing aids same like sound from normal ear? How and where to get the hearing aids? Are the hearing aids will break down? Is the hearing aid can stay long? 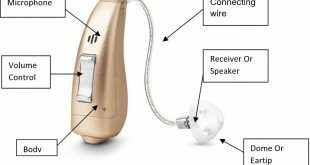 How to maintain the hearing aids? For adults, hearing aids give them a new life. They want to live a normal life like before. For example, aging process results in changes in body system- physiological changes which could cause in hearing problem. Currently, audiologist plays an important role in giving the exposure about the hearing aids to the patients. Patients can get this kind of service in government hospital, private medical centre and hearing aids centre. People with permanent hearing loss will be suggested to wear hearing aids as it cannot be cured with medication or operation procedure. This type of hearing loss is caused by auditory nerve damage. Before wearing hearing aids, professionals will inform patients about basics which the need to know and they will be given manuals for their references as well. The patients also will be informed that the sound quality from hearing aid differ from normal hearing. Therefore, the difference is not so significant. That is why people need time to get used with hearing aids because the brain has to learn in recognizing sounds again that they are depriving for a long time. On the first day of wearing hearing aid, people will feel uncomfortable as there are something filled in their ear. Some people will have ear itchiness but it will disappear after several days or weeks. However, if the problem persists, they have to see professionals as soon as possible. The patients will be informed that they need to go for follow up appointments after wearing hearing aids. This will help them to solve problems coming after they experienced wearing hearing aids in different environment. The audiologist will make adjustment on the hearing aid setting based on the patients’ problem. During the follow up session, the audiologist will evaluate the hearing aid effectiveness through several tests and survey form. This will give the idea for the audiologist whether the hearing aid is beneficial or not in helping them to hear. Hearing aid wearers hope that the hearing aid can help them to hear clearly without being disturbed by noise. In addition, they want to be comfortable where the sound they hear not too loud and not too soft. If the sound is too loud and not comfortable for the user, they need to get professionals service. If the hearing aid is not functioning, this is not the ending of their hearing life. The hearing aid should be serviced at least every 6 month. They need to know that the hearing aid consist of several small sophisticated components which are sensitive to moisture and extreme movement. However, patients can avoid it from broken down by handling it carefully. Overall, every hearing aid has warranty period. People with hearing loss can have a chance to stay active and improve quality of life with hearing aids.